Plenty of bakeries sell loaves and rolls, but only a few use slow, natural artisanal processes worth seeking out. C’est La Vie. Jo Hill’s excellent artisan breads deserve wider recognition. 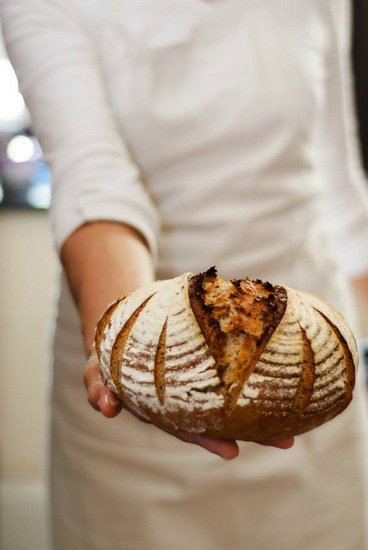 Trained in France, Hill uses only stoneground flour, water, salt and a well-tended starter for her sourdough wholewheat, rye and Campagne loaves. Beautiful baguettes and rustiques feature too. ‘Our breads take 18 hours from start to finish,’ says Hill. ‘That makes them artisanal.’ Kalk Bay, 083-676-7430. De Oude Bank Bakkerij. It’s worth the drive to Fritz Schoon’s rustic bakery where integrity shines in every wood-fired loaf made from a farmer’s stoneground flour. 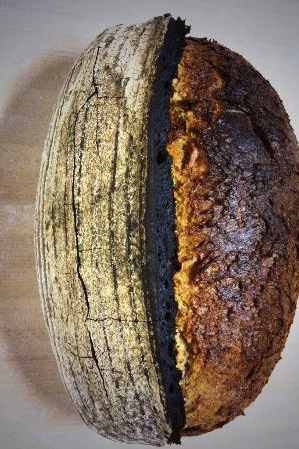 Baguettes and ciabattas aside, all breads use a five-year-old sourdough starter. From the Schoon’s sourdough white-wholegrain-rye, to ancient grain loaves such as sprouted buckwheat sourdough, naturally fermented bread reigns. Stellenbosch CBD, 021-883-2187. Eurohaus. While not professing artisan techniques reliant on slow, natural fermentations, this bakery has a steady following, especially on Sundays. Gerd Zerban, 72, still begins his work day at 2am. Known for Zerban’s Cake and Coffee Shop in its heyday, his three crusty sourdough rye variants combine yeast, water and a pre-starter with German rye flour. Half loaves available. Cape Town CBD, 021-422-0168. Jason Bakery. You’ll queue to snag a loaf from the hatch, but charred sourdoughs or crusty baguettes are worth the wait. Jason Lilley feeds his white bread sourdough and sourdough rye starters ‘born’ in August 2007. The latter gives the signature Bree Street sourdough distinctive flavour, combined with white bread and rye stoneground flour, salt and water. It takes three days to make. Cape Town CBD, 021-424-5644. Woodstock Bakery. Most people buy these artisan loaves from Oranjezicht City Farm or Neighbourgoods Market Saturday stalls, but they sell from their synagogue-turned-bakery too. Paul Cremer hand-shapes breads using sourdough starters and stoneground flour. Expect wood-fired crusts on roasted potato to assorted sourdough ryes, ciabattas and baguettes. ‘We use a minimum 18-hour fermentation, so the bread is easier to digest,’ says Cremer. Woodstock, 074-797-7324. This appeared in The Times on 25 February 2015.